If you’re caught with controlled substances in Florida, you could face felony charges. Florida allows the court to pursue simple drug possession charges as felonies. A felony carries significantly more weight than a misdemeanor, and in addition to greater penalties with regard to jail time and fines, you could also lose the ability to legally own a firearm and other rights that you enjoy without a felony on your record. When Is Possession of Drugs a Felony? Florida law allows almost any drug possession charge to be filed as a felony, depending on the type of drug and the quantity possessed. You may not face criminal charges if you have a valid prescription for medical marijuana, as long as you aren’t endangering anyone else, such as driving under the influence. 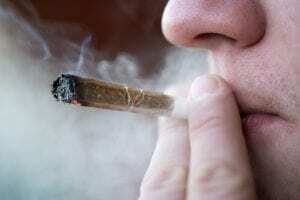 Additionally, possession of a small amount of marijuana, even without a prescription, might result in misdemeanor charges instead of felony charges. However, if you’re a repeat offender, you could face charge enhancements. If you’re caught by the police with drugs in your possession, contact a Florida criminal defense attorney immediately. You must protect your rights and get legal counsel before you answer police officers’ questions or appear in court before a judge. Saying the wrong thing could put your case in jeopardy. How Are Drug Possession Charges Filed in Florida? First-degree misdemeanor: If you’re found with 20 grams or less of marijuana, you might face a first-degree misdemeanor charge. The potential penalties include up to one year in jail. You will also have to pay court costs. Third-degree felony: Possession of a controlled substance, such as cocaine or meth, or many medications without a valid prescription, could lead to penalties of up to five years in prison in Florida. First-degree felony: Your charges can get elevated to first-degree felony if you’re found with excessive amounts of controlled substances, such as more than 25 pounds of marijuana or more than 28 grams of cocaine. Being caught with such large quantities of drugs is considered trafficking in controlled substances, regardless of whether or not there is any evidence you were buying or selling the drugs. These charges carry potential MANDATORY sentences anywhere from 3 years up to 30 years in prison and $250,000 or more in fines. There are several potential defenses to drug possession charges in Florida. The prosecution must prove that you had control over the drugs and that you knew you possessed a controlled substance. Additionally, you might face lighter penalties if you’ve never been arrested before. As soon as you know that you’ve been arrested on drug possession charges in Florida, contact McIntyre Thanasides at 844-511-4800. We’ll help you fight your criminal charges and guide you through the legal system so that your rights remain protected.